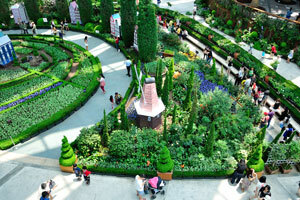 Night road goes along Flower Dome. 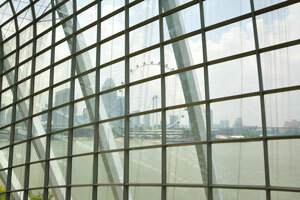 Singapore Flyer view from the Flower Dome. 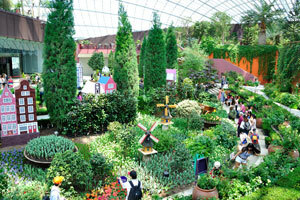 Flower Dome view right after the entrance. 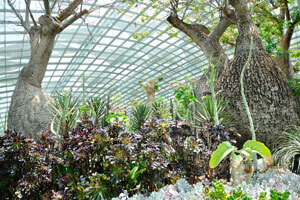 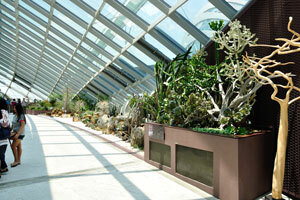 In the beginning you'll see a large quantity of the succulent plants. 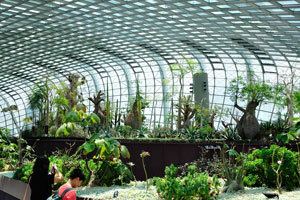 Through the glass roof you can see the Cloud Forest dome. 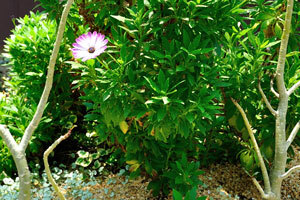 White flower with pink tips is found between the leafless adeniums. 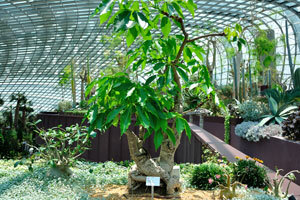 Pseudobombax ellipticum commonly known as Shaving Brush Tree. 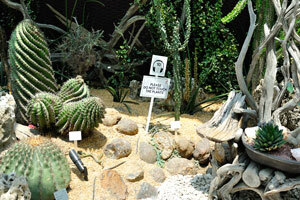 Ferocactus pottsii and other cacti. 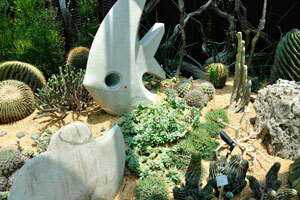 Euphorbia horrida and the stones in the shape of a fish. 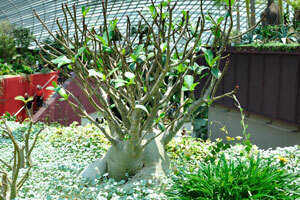 First leaves start appearing on adenium. 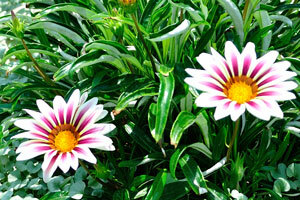 Daisy with bright cherry color striped flowers. 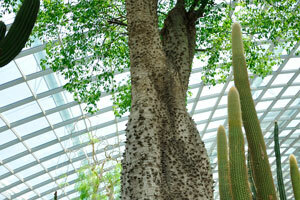 Ferocactus glaucescens and Fouquieria columnaris “Boojum tree”. 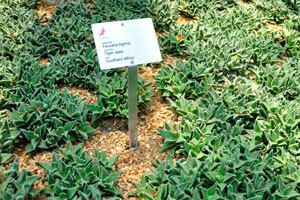 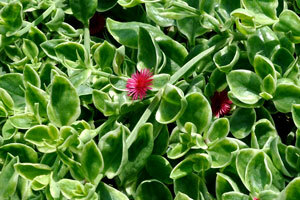 Succulent's green tissues absorb light to produce food, a process known as photosynthesis. 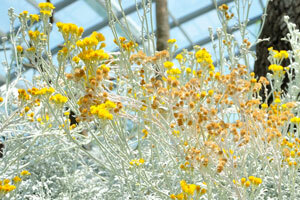 Silver grass with yellow flowers. 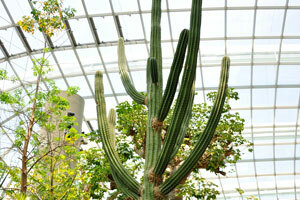 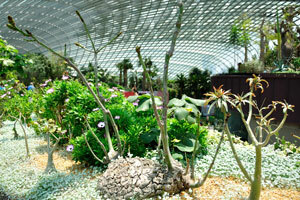 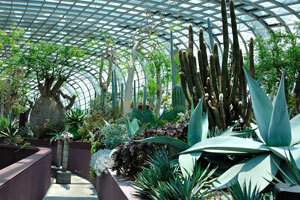 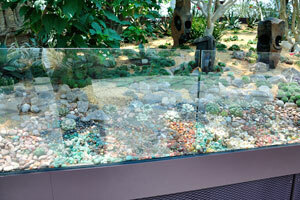 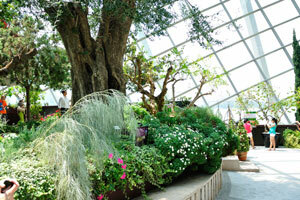 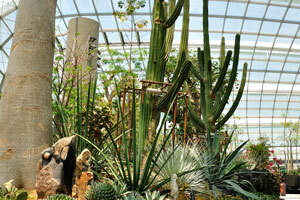 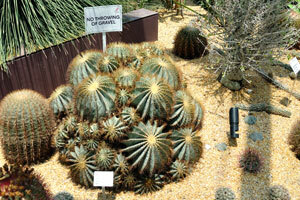 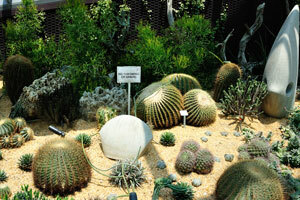 Ariocarpi and gymnocalyciums are located behind the protective glass. 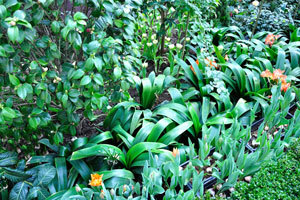 Huge adeniums with the red flowers. 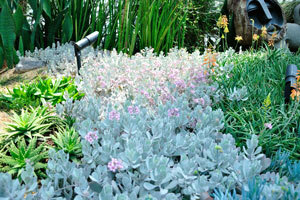 Silver succulents grow like a carpet. 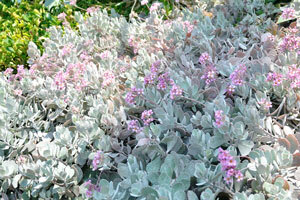 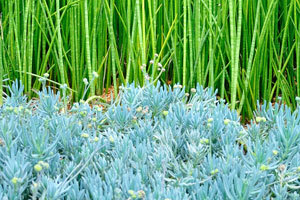 Silver-blue and green succulents have a shape of a grass. 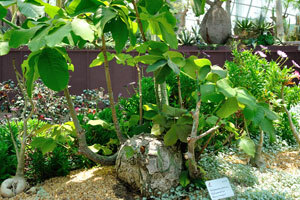 Dorstenia gigas “Socotran Fig Tree”. 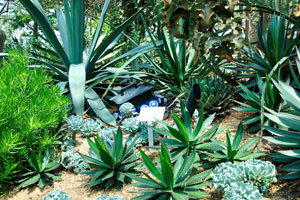 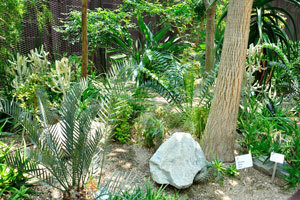 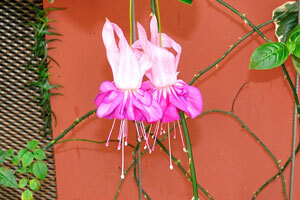 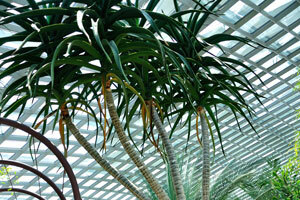 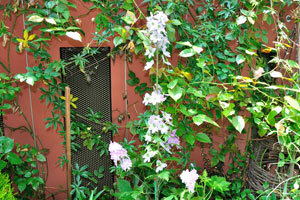 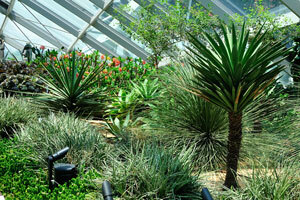 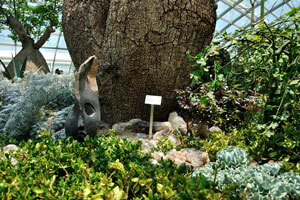 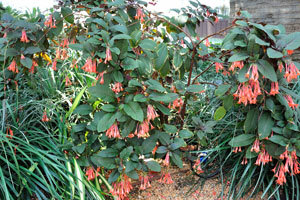 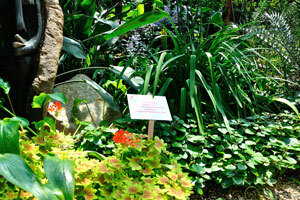 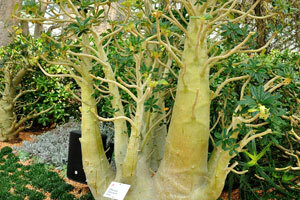 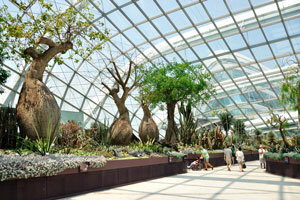 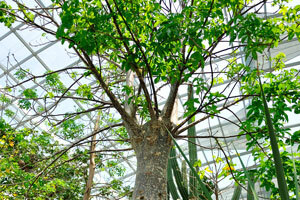 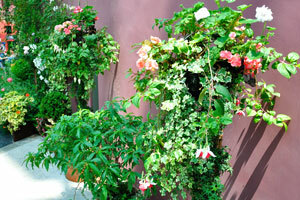 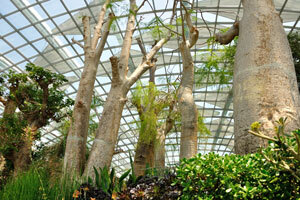 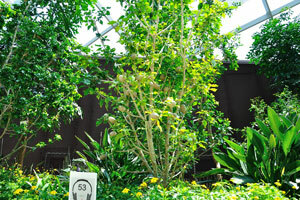 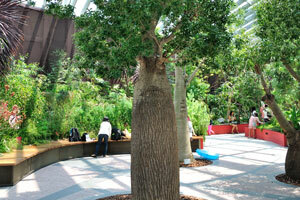 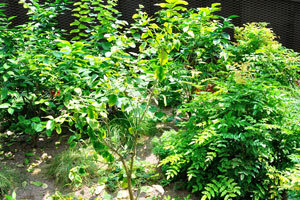 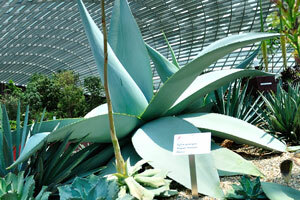 Discover plants from the Mediterranean and semi-arid subtropical regions. 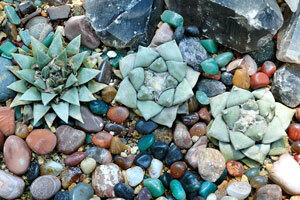 Now get ready to be amazed by nature. 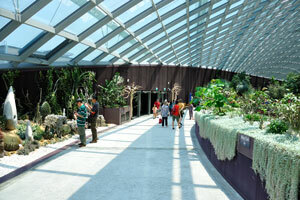 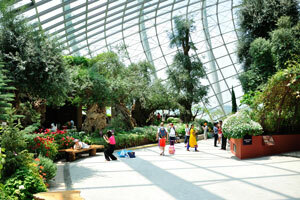 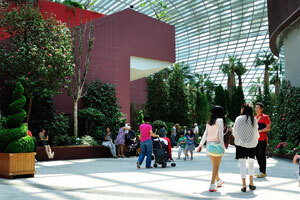 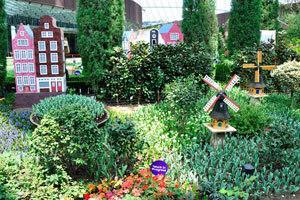 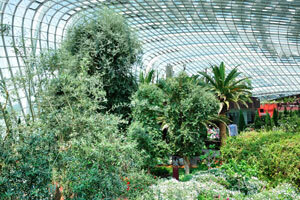 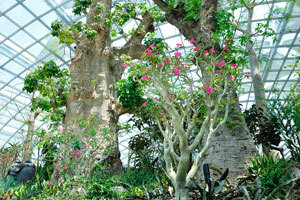 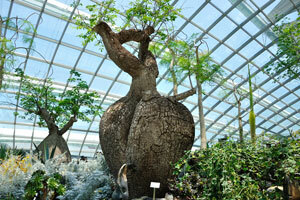 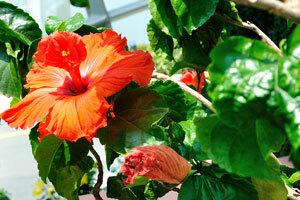 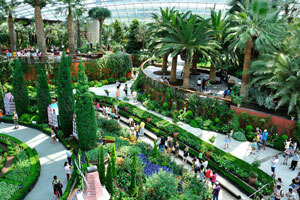 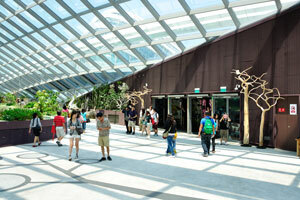 Step into the Flower Dome and you'll be standing in awe of nature. 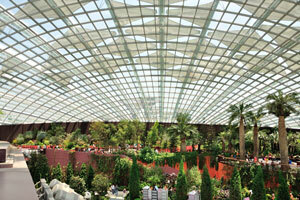 With 3,332 panels of 42 varying shapes and sizes of spectrally selective glass, the Flower Dome is like a giant puzzle! 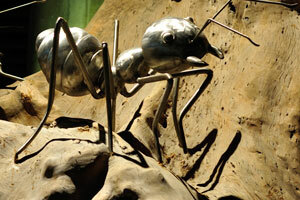 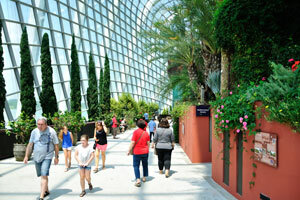 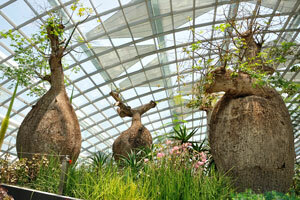 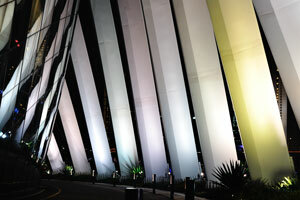 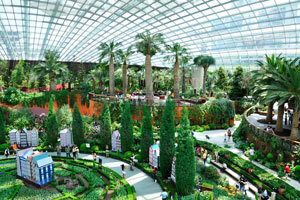 Spectacular and innovative in design, it is one of the icons of Bay South Garden. 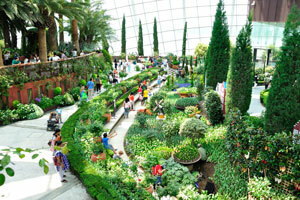 View of the Singapore Flyer from the Flower Dome. 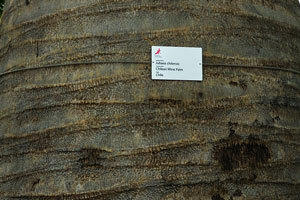 Label of Adansonia grandidieri, Madagascar's baobab. 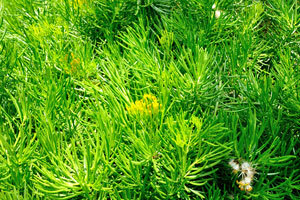 Green succulent with yellow flowers. 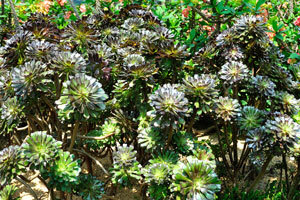 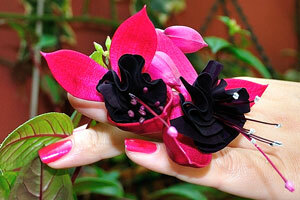 Black succulents have a shape of echeveria. 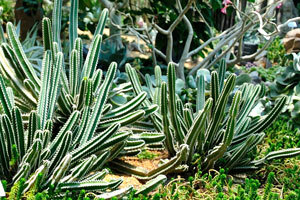 Cleistocactus winteri “Golden rat tail”. 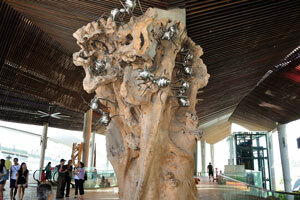 Eastern cowboys, Weathered wood, Timor Leste craftsmanship. 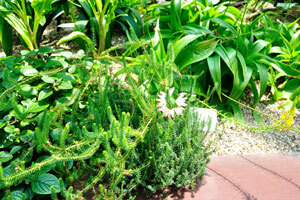 Green succulent grass and small red flowers. 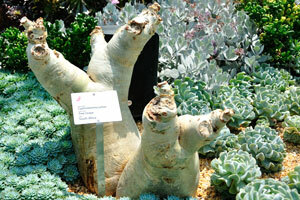 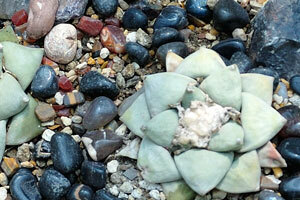 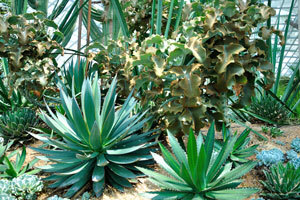 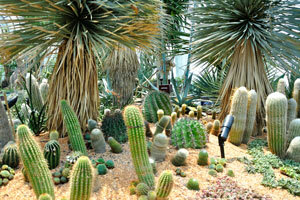 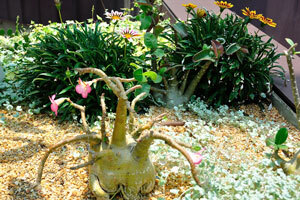 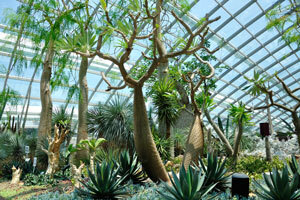 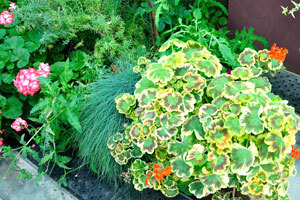 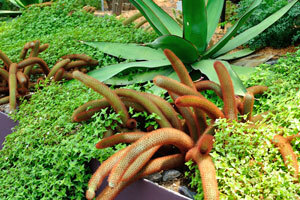 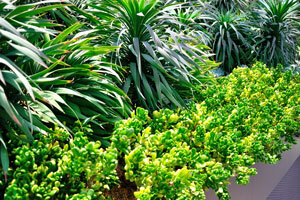 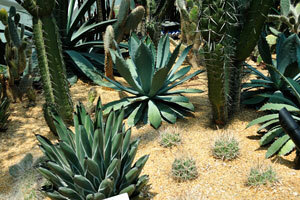 Succulents are water-storing desert plants belonging to families such as Cacti and Euphorbias. 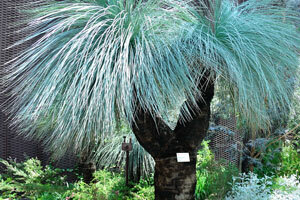 Dasylirion longissimum “Mexican Grass Tree”. 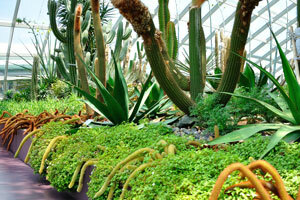 Succulent Garden is on the left. 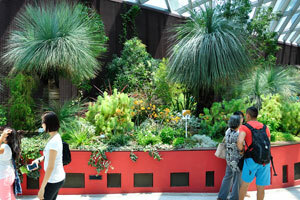 The beginning of the Australian Garden. 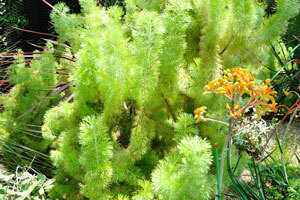 Adenanthos sericeus “Woolly Bush”, Southwest Australia. 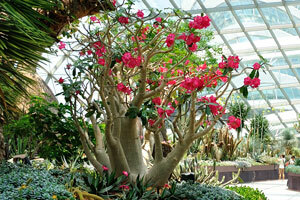 Brachychiton rupestris “The Queensland Bottle Tree”. 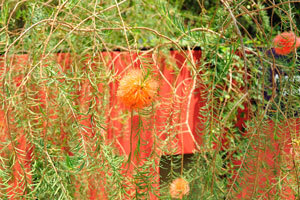 Beautiful girls near the Queensland Bottle Tree. 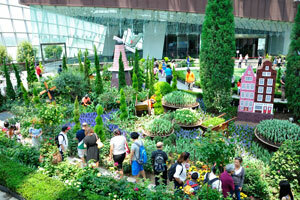 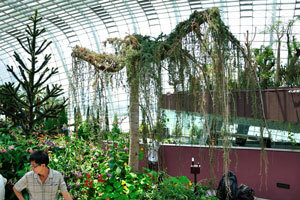 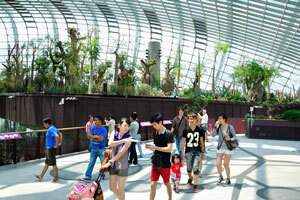 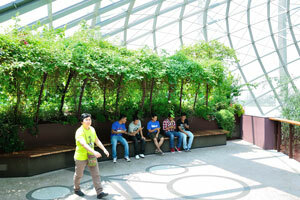 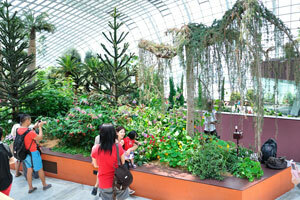 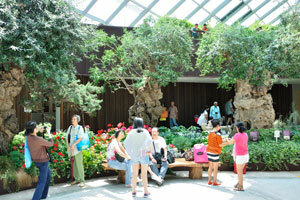 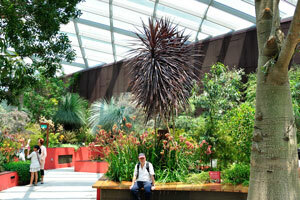 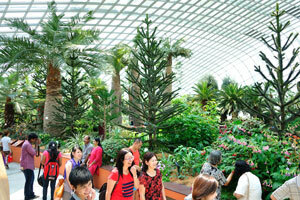 Visitors make the photographs of the plants and flowers. 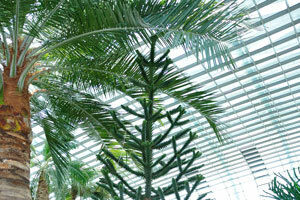 Araucarias have a shape of a fir-tree. 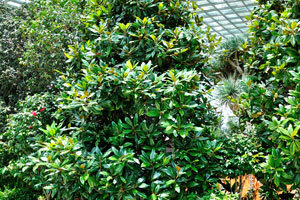 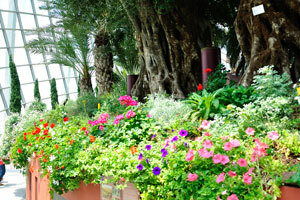 Lush greenery of the Flower Dome. 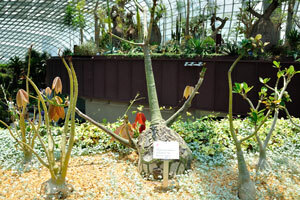 Trunk of Aloe barberae “Tree Aloe”. 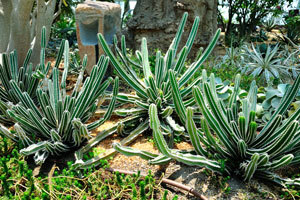 Aloe barberae “Tree Aloe”, South Africa. 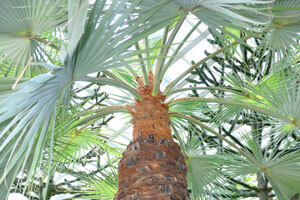 Jubaea chilensis “Chilean Wine Palm”. 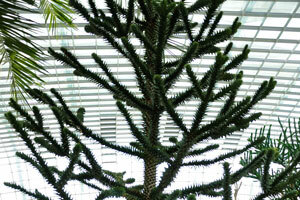 Araucaria araucana “Monkey Puzzle Tree”. 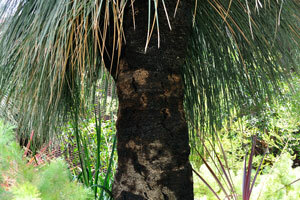 Araucaria araucana in the South American Garden. 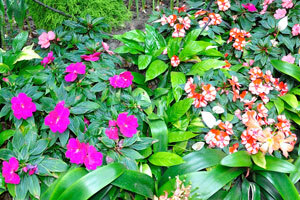 Flowers in the South American Garden. 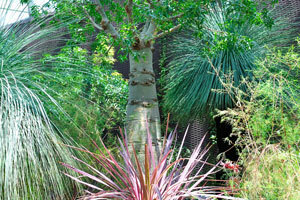 Brahea armata “Mexican Blue Palm”. 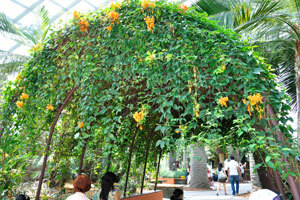 Arch with the orange flowers. 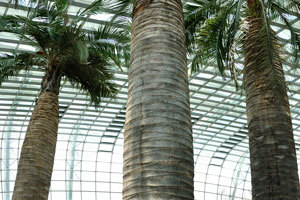 Chilean Wine Palm is known as the “Incredible Hulk” due to its massive girth and height. 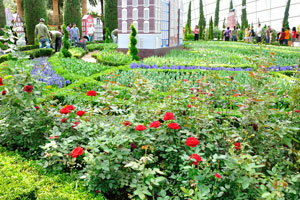 Walking space between the Mediterranean Garden and the Flower Field. 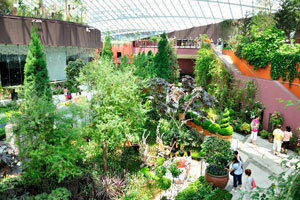 One can see the entrance at the far end. 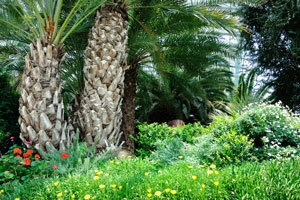 Mediterranean Garden is full of the palm trees. 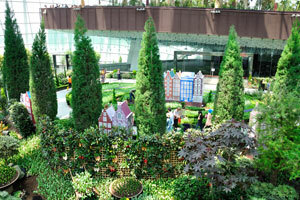 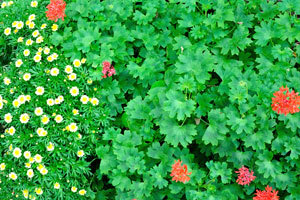 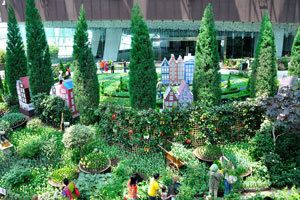 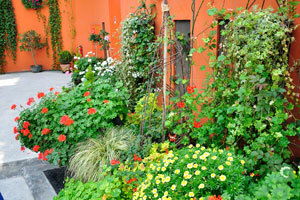 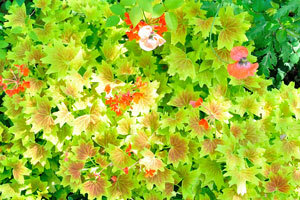 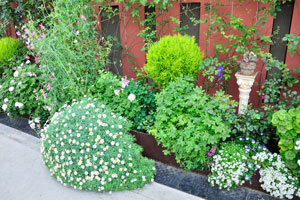 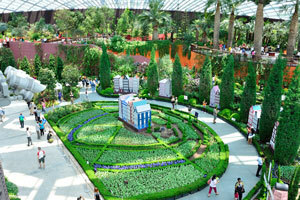 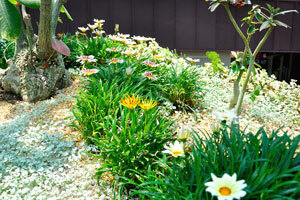 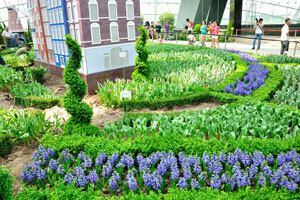 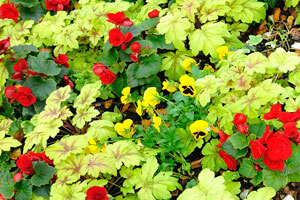 Landscape design of the Flower Field. 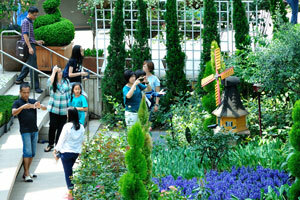 Visitors in the Flower Field. 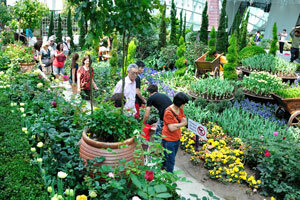 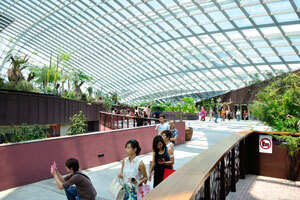 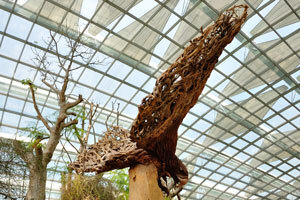 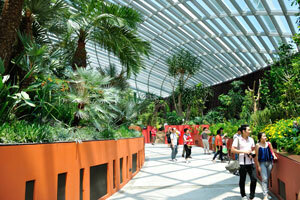 Innovative design attracts many visitors. 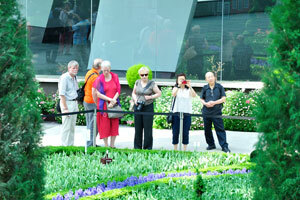 Retired travelers from the Northern countries. 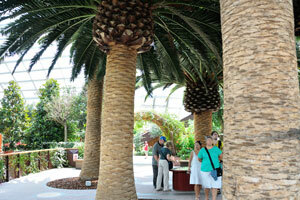 Walking along the South African Garden. 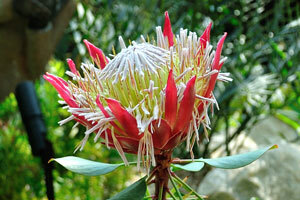 Protea cynaroides “King Sugar Bush”. 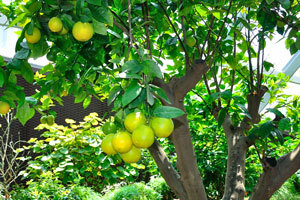 Tree with numerous fruits in the South African Garden. 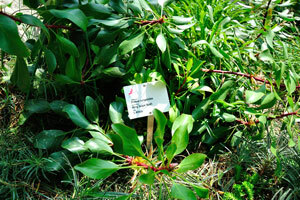 Label of Magnolia grandiflora “Southern Magnolia”. 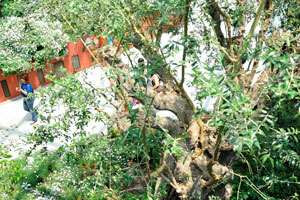 On our way to the Olive Grove. 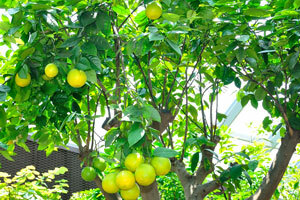 Citrus tree with round yellow fruits. 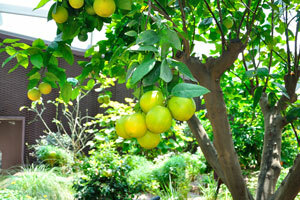 Citrus tree in the Californian Garden. 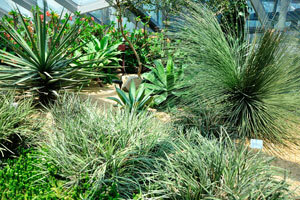 Low plants in the Californian Garden. 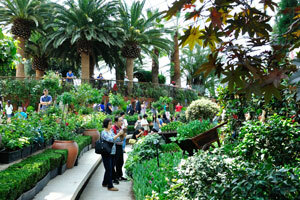 Visitors on the bench under the trees in the Californian Garden. 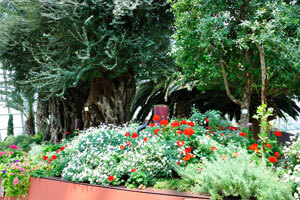 Pathway between the Olive Grove and the Mediterranean Garden. 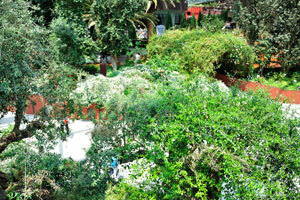 Lush greenery of the Olive Grove. 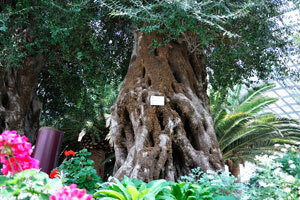 A thousand year old Olive tree. 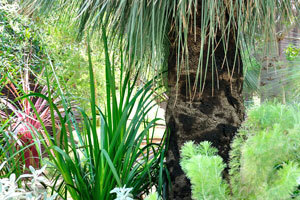 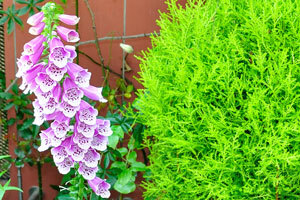 You can find here some of the native Mediterranean plants such as the Stone Pine or Date Palm. 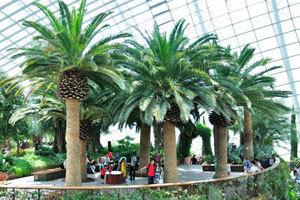 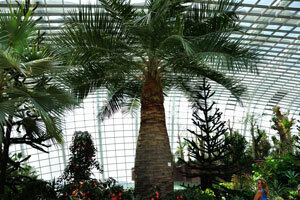 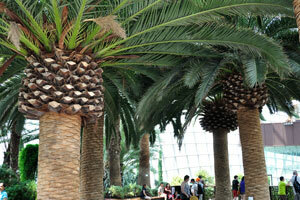 Phoenix canariensis “Canary Island Date Palm” is presented by several trees. 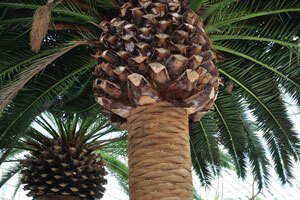 Label of Phoenix canariensis “Canary Island Date Palm”. 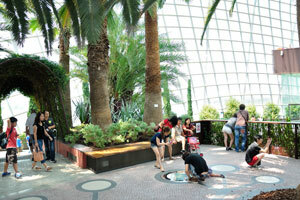 Girl photographs something under the ground. 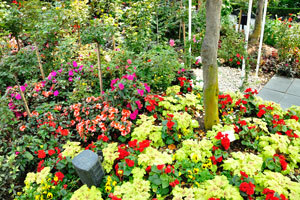 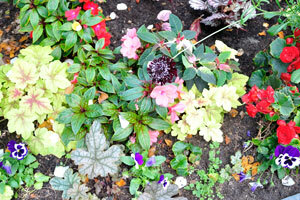 Variety of colors in the Flower Field. 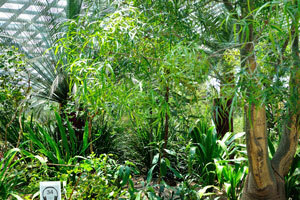 High trees of the South American Garden. 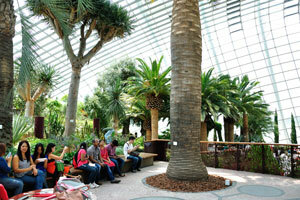 Tourists are under the Phoenix canariensis trees. 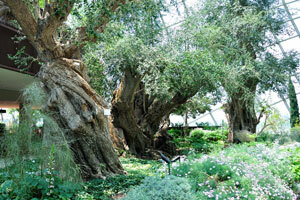 Awesome ancient olive trees in the Olive Grove. 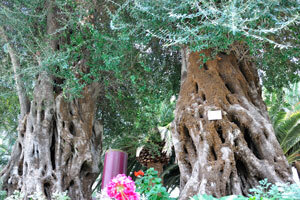 Plants which grow under the olive trees in the Olive Grove. 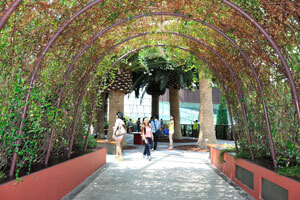 On the pathway to the Flower Field. 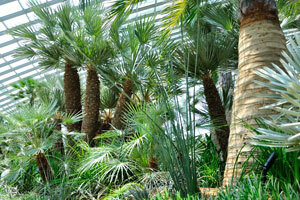 Palm trees of the Mediterranean Garden. 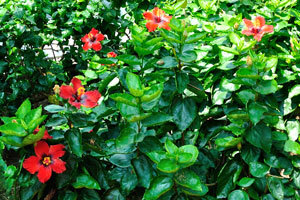 Hibiscuses with red and yellow flowers. 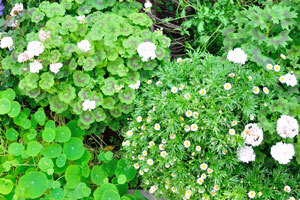 Pale green bush of daisies. 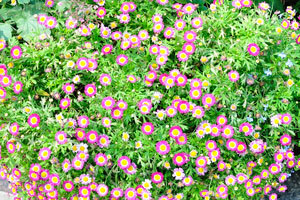 Joyful youth in the Flower Field. 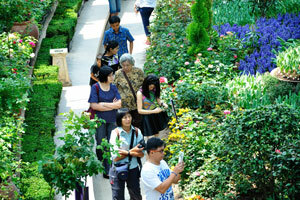 Tourists are in the middle of the Flower Field. 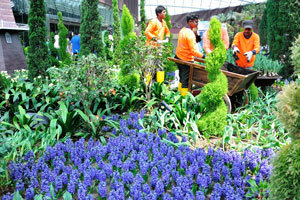 Flower Field decorations, “Work in Progress”. 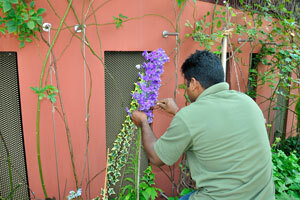 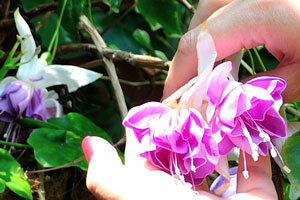 Employee ties up the flower. 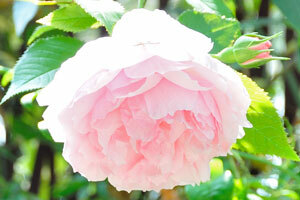 Tea-rose has very tender pale pink color. 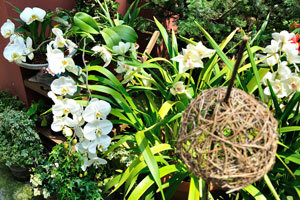 White orchid flowers, phalaenopsis sp. 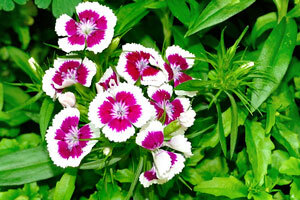 Dianthus barbatus “Sweet William” flowers. 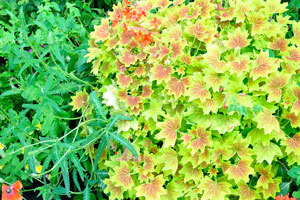 Plant looks like a miniature maple. 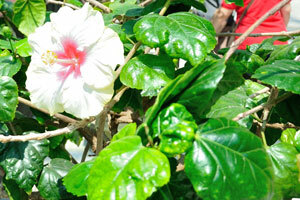 White yellow rose flower in the corner. 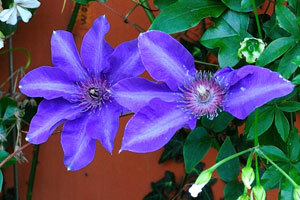 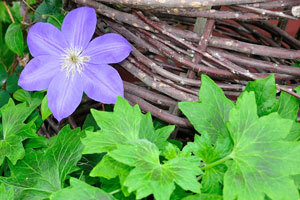 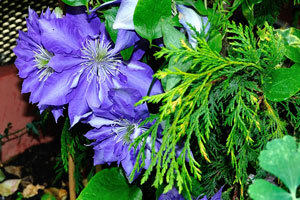 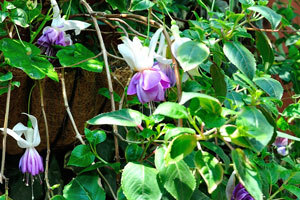 Couple of the clematis flowers. 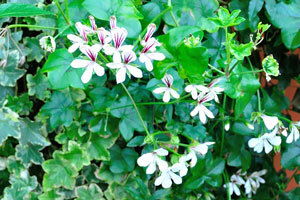 White flowers with touches of cherry. 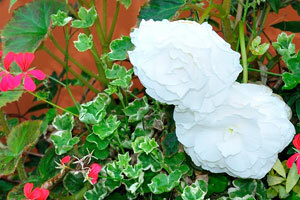 Smoky white flowers of roses. 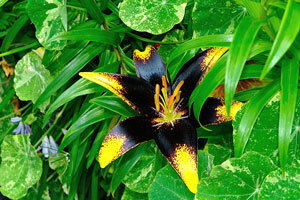 Black lily flower with yellow tips. 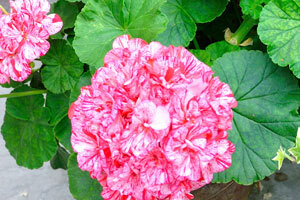 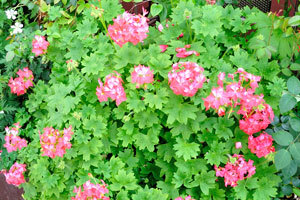 Pink geranium flowers with the white elements. 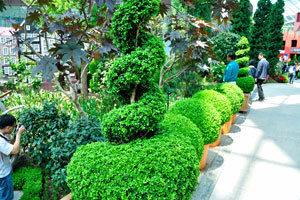 Bush has a spiral shape. 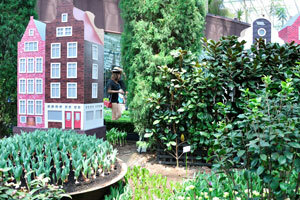 Cute little girl looks at me. 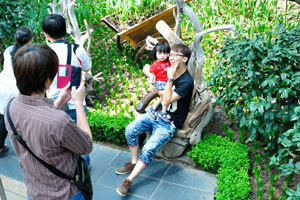 Cute little girl still looks at me, it is one of my best photograph. 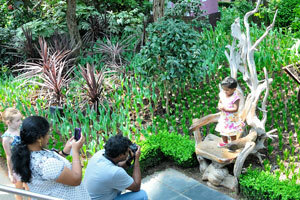 Special wooden chairs were placed here for the beautiful photographs. 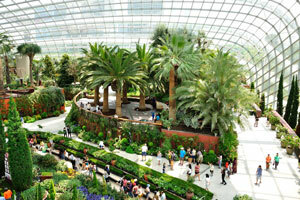 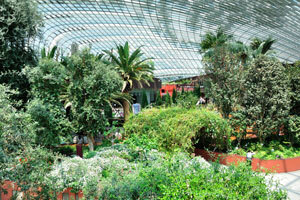 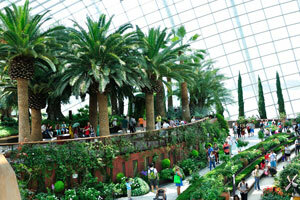 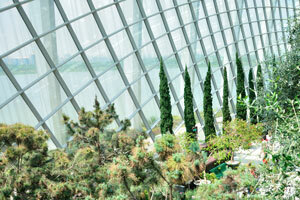 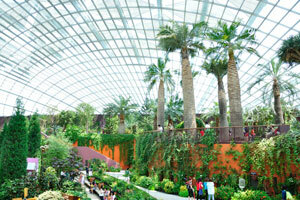 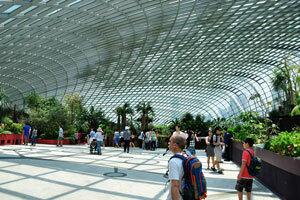 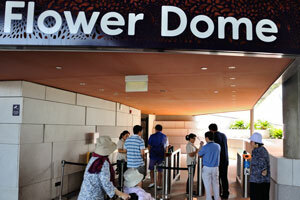 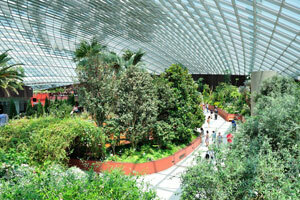 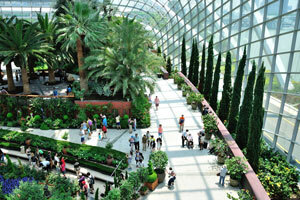 The Flower Dome is the world's largest column-less greenhouse. 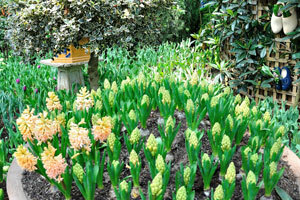 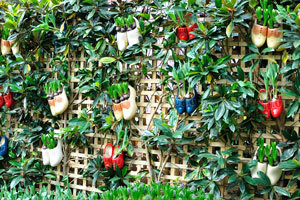 A fabulous shoes are just a pots for hyacinthus flowers. 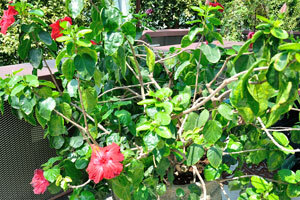 Red hibiscus in the pot. 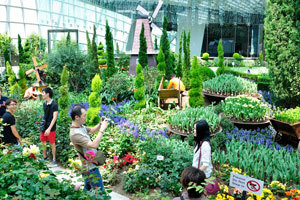 Flower Field is the highlight of the Flower Dome. 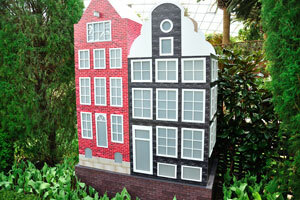 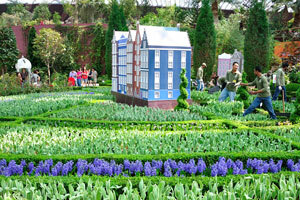 Artificial fabulous house in the Flower Field. 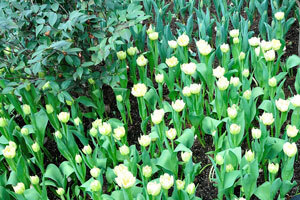 Tulipa cv. 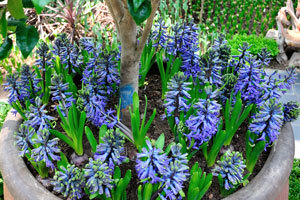 “Purple Prince” and Tulipa cv. 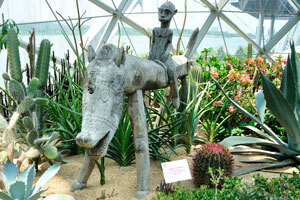 “Hemisphere”. 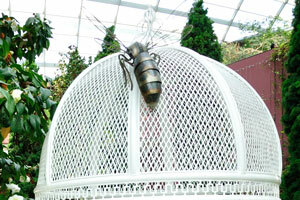 Metallic gazebo with the flying insect on its top. 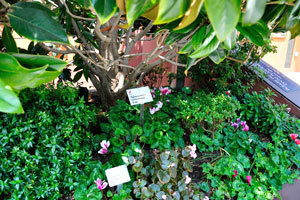 Camellia japonica and red begonia. 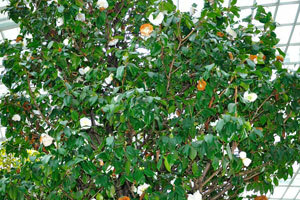 High tree with the white flowers. 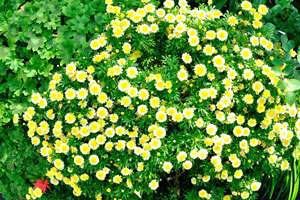 Crimson daisies with yellow center. 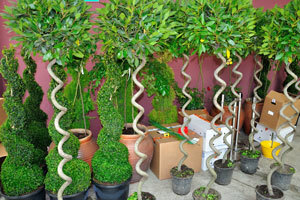 Plants have a shape of a spiral. 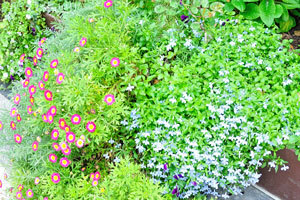 Different species of garden flowers. 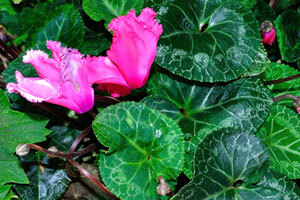 Pink impatiens and Viola tricolor. 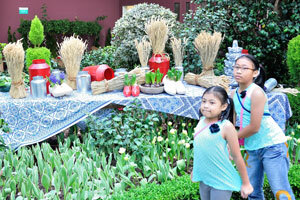 Little girls and the harvest. 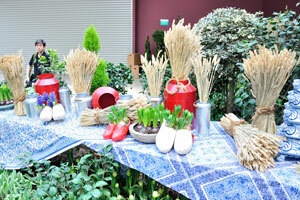 Wheat harvest on the table. 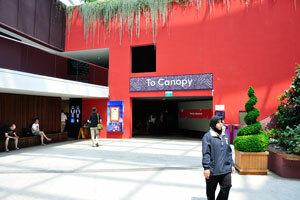 Small area before the exit. 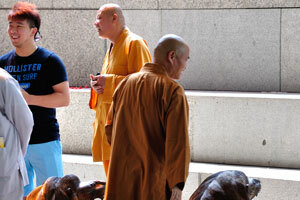 Laughing buddhists and lion statues.